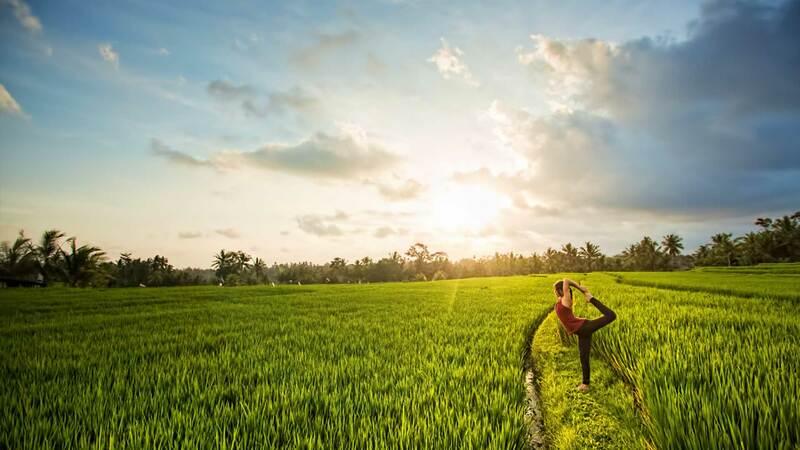 The 7-Day Yoga Bliss Retreat is a perfect choice if you are ready to deepen your practice while enjoying the stunning beauty of Bali. Ideal for both beginner and intermediate students, this retreat focuses on empowering you to develop a strong foundation in the essential practices of both yoga asana and meditation so you can practice with confidence on your own. 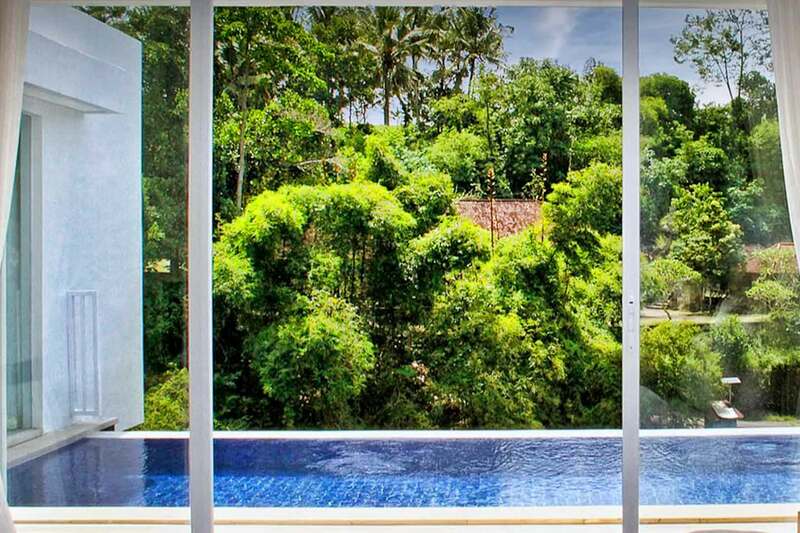 While immersing in the luxurious, peaceful and pristine natural surrounding of our world-class luxury villas, you will also have the opportunity to soak in the exotic culture and natural environment of Bali. 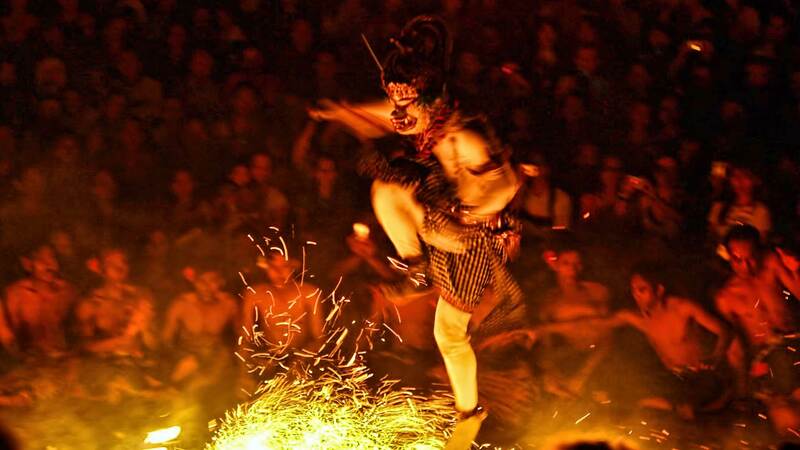 With its vast selection of art, dance, music, ceremonies, temples, beaches, volcano treks and waterfalls, prepare to experience one of the most magnificent islands on the planet. If you’re looking for a stress-free holiday in a loving, fun, nurturing and compassionate community with inspiring yoga teachers guiding you in an intimate setting, this retreat is a rare gem of inner peace – one that promises to renew, restore and rejuvenate you from deep within. Suitable for all levels, our daily Vinyasa Flow classes are a fluid sequencing of postures linked with the breath. Classes are tailored to individual needs so they are challenging, yet not overwhelming and allow you to progress at your own pace. Each day of the retreat you will learn 2 complete asana flow sequences that balance the emphasis on alignment, flow and mindfulness. Our Sunrise Sequence will be introduced each morning to energize you for the day, while the late afternoon Sunset Sequence will help you unwind with more gentle and nourishing postures that focus on healing and letting go. These empowering sessions focus on giving you the skills that you need to confidently practice on your own. How great will it feel to be able to do yoga at home, on the beach, in nature, with your friends or wherever you like with confidence!? In these heart-to-heart sessions, you will receive next-level personal growth tools, learn about the yogic lifestyle, receive guidance for your personal practice and discover ways to implement healthy and balanced routines into your daily life. We will also introduce and demystify some of the secret practices of Yoga that truly transform lives: Yoga Nidra, working with Chakras, Ayurveda, and discuss Yogic Philosophy. We address topics like healthy diet and eating patterns, daily rituals that promote inner peace, communication patterns that foster love and understanding, and psychological attitudes that nurture self-healing. Learning and practicing the noble art of silent meditation is an essential life skill. If you are new to meditation, or not exactly sure how to meditate, you will be introduced to powerful breath control (pranayama) techniques that will help you master your mind. These ancient techniques reduce stress, promote mental clarity, heal and prevent psycho-somatic disease. You will learn how to breathe, how to sit, what to focus on and learn how to meditate properly to derive the endless benefits of meditation you’ve been hearing about. By the end of your retreat, you will finally have all the tools you need to confidently practice meditation on your own. If you are a seasoned meditator, these sessions are perfect for slowing down, learning new techniques, relaxing and reconnecting with yourself. 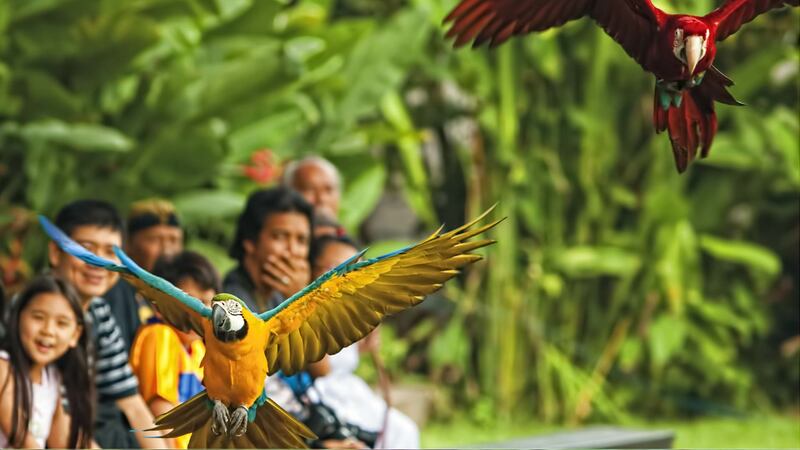 The magic of Bali is no myth! 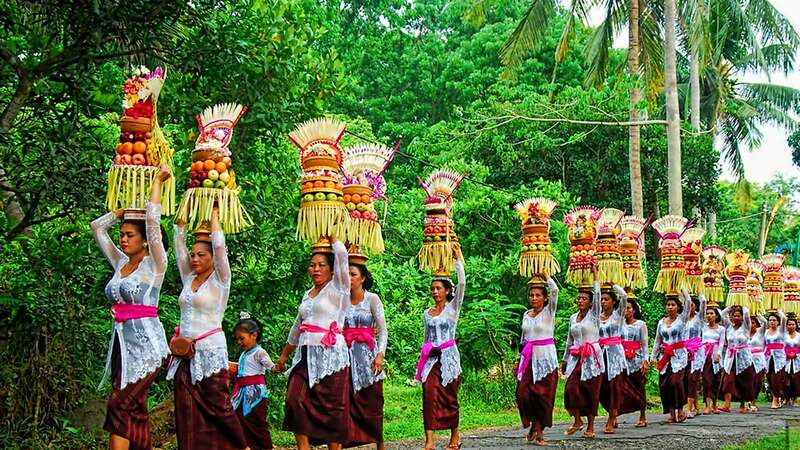 During your retreat, you will have the opportunity to enjoy 2 fun and spiritual cultural immersion events to discover all the beauty and charm of Ubud and its gorgeous people. You are traveling solo and slightly nervous about being alone in a foreign country. Not to worry – we will help make your journey here as effortless, easy and safe as possible. An incredible team of soul-sisters is here to support you and all the other amazing and positive people we attract. Whether you come solo, with a friend, as a family or as a couple, the retreat set up allows you to naturally bond with people. This is a space where life-long friendships can be made and kindness is the keyword. You need to disconnect from the hectic pace of life, are feeling tired, lacking energy, not loving your body and need some serious “me” time to recharge your batteries, feel nourished by others and celebrate yourself so you can go back home feeling rejuvenated, stronger, braver, clearer and more radiant than ever. You are into the trendy, superficial, body-image-centered approach to yoga and only want a fitness regime. Please look elsewhere. We teach real yoga here. You aren’t willing to learn anything new and can’t wake up by 7:00 each morning to dedicate yourself to practices that make you healthier, more radiant, more mindful and more compassionate. You are an advanced practitioner. These retreats are for those at a beginner or intermediate level. To register you only pay a deposit now and the remainder will be due on the first day of the retreat. 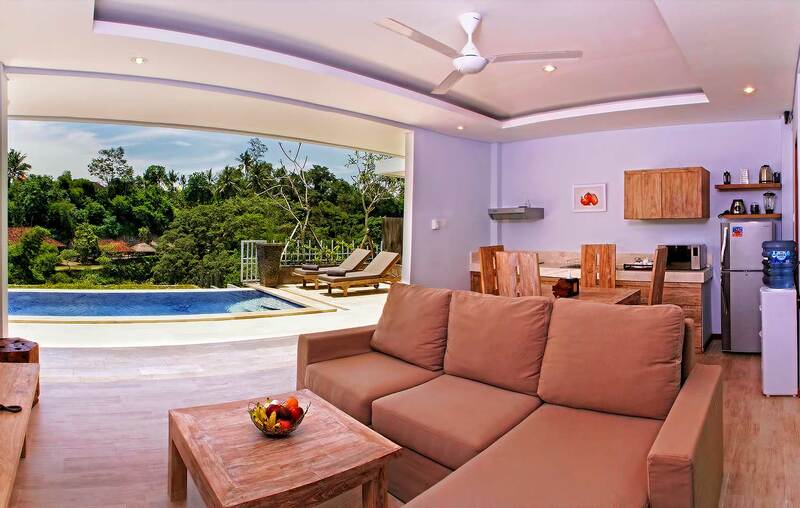 With spacious rooms, private plunge pools in each villa, en-suite kitchenettes, full sized bathrooms, and a friendly, full-time staff who will attend to your every need, our yoga resort venue provides tropical, outdoor living to connect with the stunning natural surroundings. 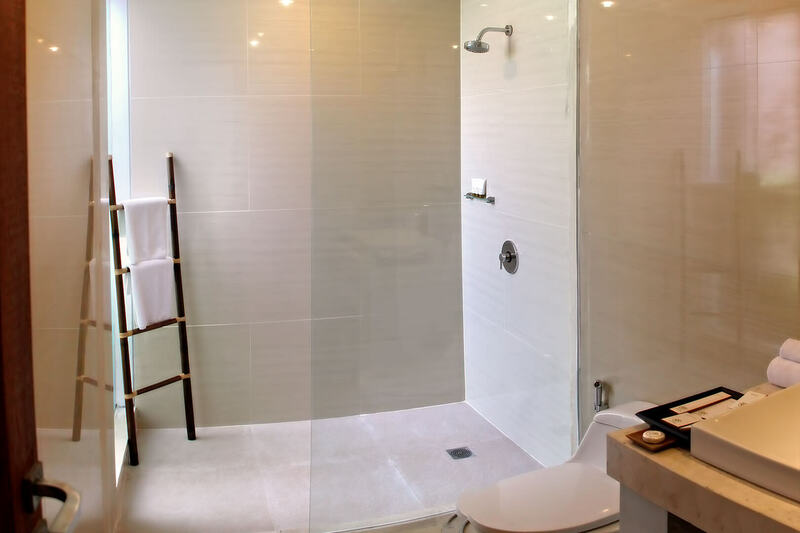 We offer 3 different room types to choose from based on affordability and level of privacy required. The Shared Suite option is the most affordable and places 2 students in 1 cozy room, within a large 3-bedroom shared villa. 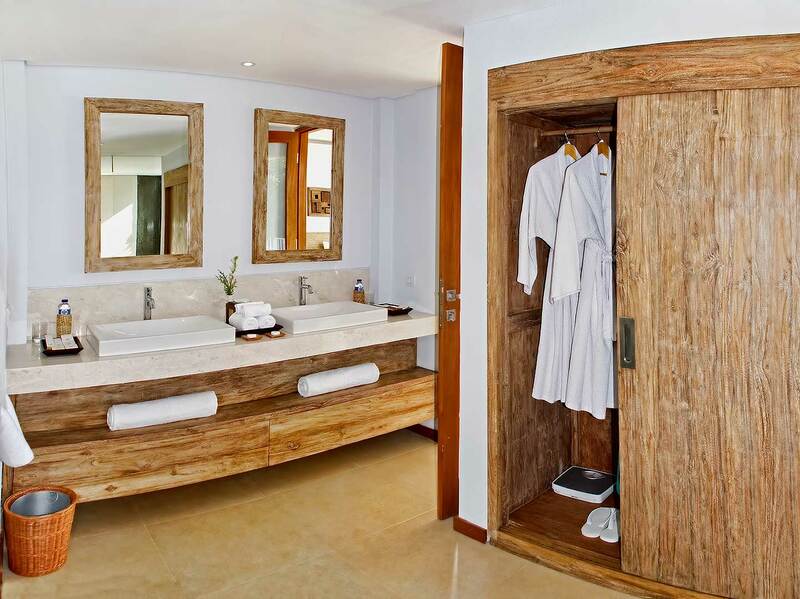 The Shared Deluxe option also accommodates 2 people per room (within a large, shared 3-bedroom villa). This is ideal for those wishing for a more spacious room, while still enjoying the communal atmosphere. 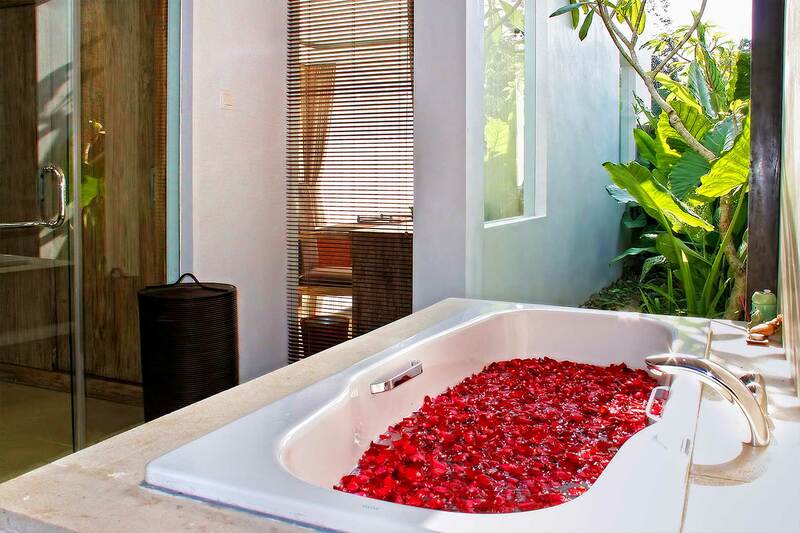 The Private Villa option offers complete privacy and accommodates only 1 person, in his or her own spacious villa. All yoga retreat packages include 2 meals per day – breakfast and dinner – at our in-house vegan restaurant Amrita. Through conscious, ethical and humane choices we serve food that is good for you, good for our planet and good for all of its creatures. Following the yogic principle of ahimsa (non-violence), a vegan diet contains no animal products. Our menu is completely free of meat, dairy and eggs – an ideal yogic diet that supports your practices. A Light Breakfast after the morning class consists of seasonal fresh fruits with scrumptious granola and freshly made coconut milk to keep the body and mind light, clear and full of energy. Dinner is a set menu of various healthy, international dishes, including soup, salad, main course, and desert. The retreat is purposefully designed to allow you to enjoy and sample amazing vegan cuisine while still having the flexibility to eat whatever you wish during lunch. For lunch, you have the option to order off the vegan a la carte menu or, if you choose to take the free shuttle into Ubud in the afternoon, you can enjoy any of the tasty and sumptuous restaurants that Ubud has to offer – including its many omnivore options. *Meals are largely gluten-free, however we use soya sauce in many dishes. We are also able to accommodate for low-gluten diets and for some allergies. Yet, as the meals are set for the entire group we cannot guarantee a completely gluten-free, raw, or sugar-free diet. To register for a yoga retreat an initial deposit must be paid through an online credit card (+3.4% transaction fee) or PayPal payment (+4.4% transaction fee) to secure your space. The remaining balance will be due on the first day of the retreat and can be paid in cash (USD) or by credit card (in Rupiah). Our refund policy is very simple & low-risk as you only send a deposit to secure your place. If for any reason, you wish to cancel your reservation 30 days before your yoga retreat start date, you can request a change of dates for a $50 USD admin fee (subject to availability and within 1 yr. of registration), or we will refund your deposit minus 25%. If your retreat starts in less than 30 days after registering your deposit is non-refundable, and no change of dates is possible. Please note: In the event of an emergency situation such natural disasters, volcanic eruptions, family & health emergencies we will make an exception and allow for a free change of date (within 1 year after your registration and subject to availability). What makes the Blooming Lotus Yoga retreats so different? 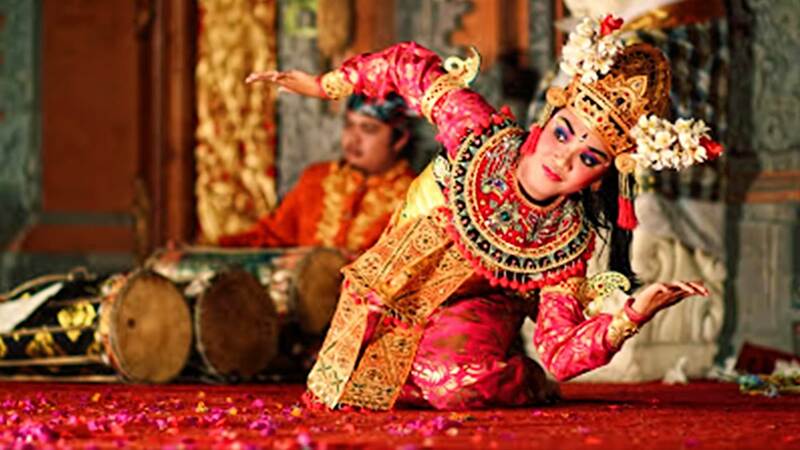 Our Vision: Unlike many of the other yoga retreats in Bali, Blooming Lotus Yoga is first and foremost a yoga school. Our sole aim is to empower you with the essential practices that are necessary to deepen your understanding of the noble art & science of yoga, so you may purify your body/mind and live an awakened life. 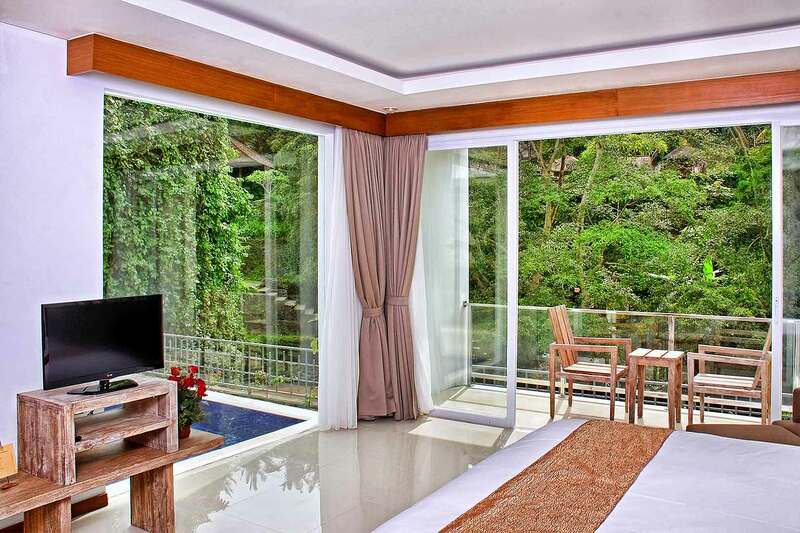 Our Affordability: While we offer some of the most luxurious accommodations in Bali, our prices are some of the most affordable on the island, for what we offer. We encourage you to look around and you will see that our prices are at least half or even one-third more affordable than anywhere else. If you find something lower in price it is likely because their accommodations are less than exquisite. 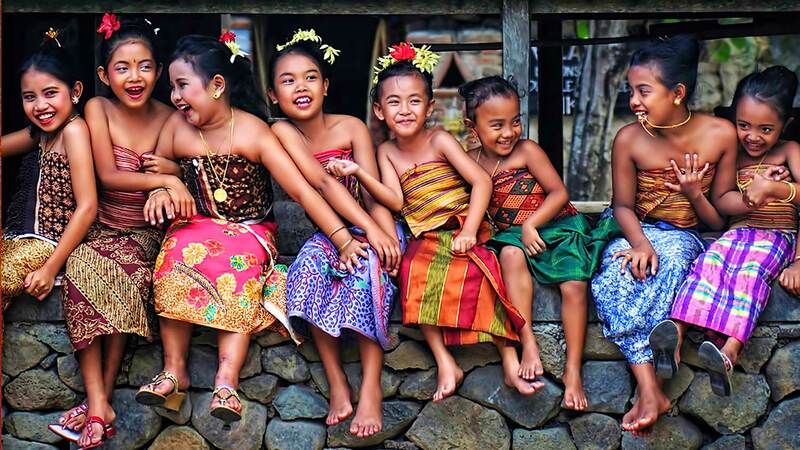 Our Kindness: A portion of your retreat costs are donated to charities serving some of the most impoverished communities in Bali and rural India. By participating in these retreats you are directly contributing to relieving the suffering of countless people in dire need. Can I start whenever I want? Because our retreats are in such high demand, we give preference to students who can be with us and the group for the duration of the programs which start on Sundays. However, it is possible to arrive on any other day. If you need to arrive on any other day please contact us and we will do our best to accommodate you. 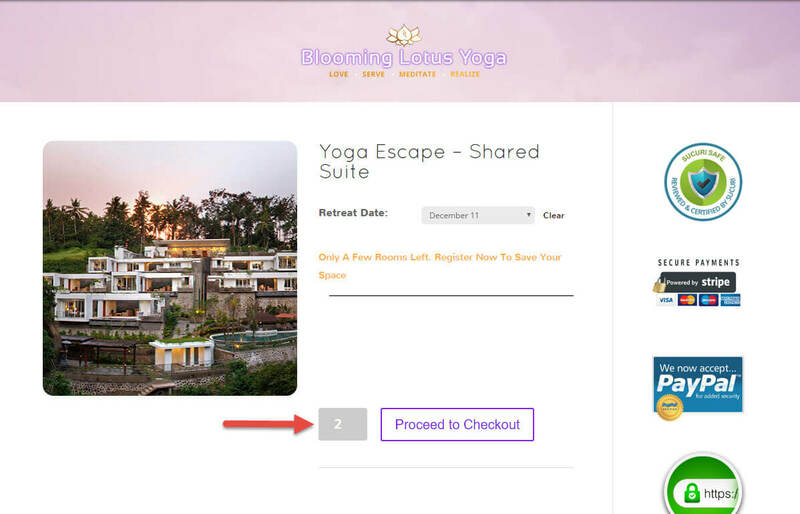 There are 2 simple steps necessary to register for a yoga retreat. Step 1: PAY A DEPOSIT (online) Choose your accommodation type here and during checkout you can select your retreat date. You can then send a deposit via an Online Credit Card transaction (+3.4% transaction fee) or by using PayPal (+4.4% transaction fee) to secure your space. I'd like to register for more than 1 person. How do I do that? To make a booking for 2 or more people choose your room type here by clicking “book now” and on the next screen, choose your retreat date and change the quantity field to 2 or more as in the example below. How are people paired in shared rooms and what are the options for single men? Contact us to see if we have a private suite available for your desired dates. Can I only attend the classes and arrange my own accommodations elsewhere? Yes, it is possible to live off-site and attend only the classes and workshops. Please note that this will require you to arrange a driver to drop you off and pick you up daily, or to rent a motorbike, as accommodations within walking distance are limited. Please contact us for costs, recommendations, and further details, if you would like to arrange your own accommodations. How do I arrange transportation to the retreat? 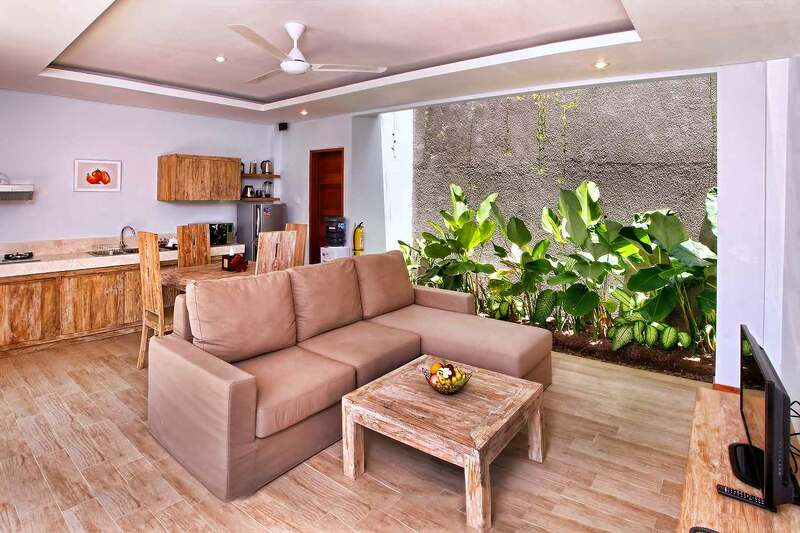 From Bali’s airport in Denpasar (DPS), it is a quick and easy 1 hour drive away. If you require transportation from the airport you can contact our retreat venue transportation services and they will arrange an airport pick-up for only $35 USD, or if you prefer you can take a private taxi from the airport for a similar price. If you are anywhere else in Bali (i.e Ubud, Seminyak, Kuta, etc.) you can easily give a taxi driver our address/phone # and they will be able to deliver you here for around $10 – $40 USD. Are meals included? Where do we eat? Each retreat package includes a delicious vegan breakfast and dinner each day of the retreat with the exception of your day of arrival and day of departure. On your day of arrival, Sunday, dinner will be included, and the day you depart, breakfast will be included in your retreat package. For the remaining lunches you can either order off the villa’s menu and eat either at the dining hall or have it delivered to your villa OR you can take the free shuttle into Ubud in the afternoon and enjoy any of the tasty and sumptuous restaurants that Ubud has to offer. This allows you to experience the culinary delights of Ubud’s fantastic dining options which cater to a range of flavors and budgets, as well as have non-vegan meals if you wish. There are numerous restaurants we can recommend and many of them even offer organic and raw options. A Light Breakfast after the morning class consists of seasonal fresh fruits, coconut milk and granola to keep the body and mind clear and full of energy. Dinner is a set menu of various international cuisines from Thailand, Indonesia, Mexico, India, Italy, and America, expertly cooked by our chefs. We try to source as much local, sustainable, and organic foods as possible for our menu. We may be able to cater to special dietary requests such as low gluten options – if you do require special dietary needs please contact us so we can check in with our chef and we will do the best we can. Check-in is anytime on Sunday between 2:00* – 4:00 pm so that you can settle in to your suite and then have dinner at 5:00 pm. *Early check-in (before 2:00 pm) is possible upon request. Check-out is by 11:30 am – 12:00 noon on Saturday. Yes, there is FREE WIFI available in each villa as well as in the common area upstairs. You can bring your own laptop, otherwise there are 2 computers available for your use in the common area. We recommend that you bring a USB and/or hard drive so that you can easily receive any data or music files you may like during the retreat. 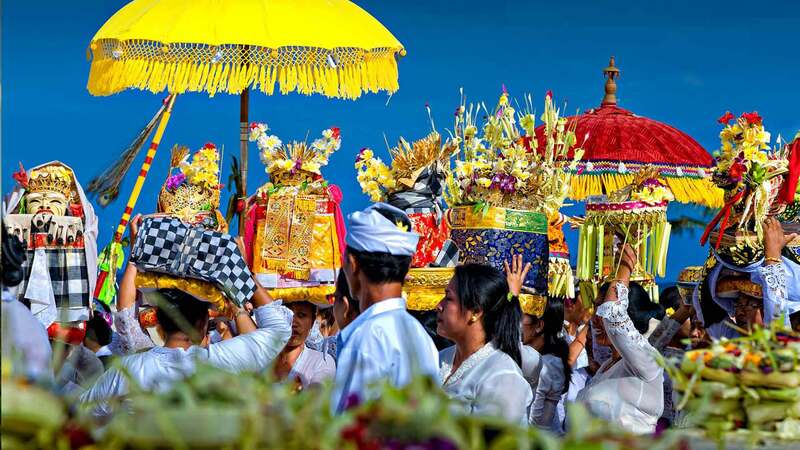 Indonesian Visas: For most nationalities, you can apply for a VISA ON ARRIVAL at the Ngurah Rai airport in Denpasar (the airport code is: DPS) when you arrive in Bali. The visa is $35 US and is valid for 30 days with an option to extend for an extra 30 days. 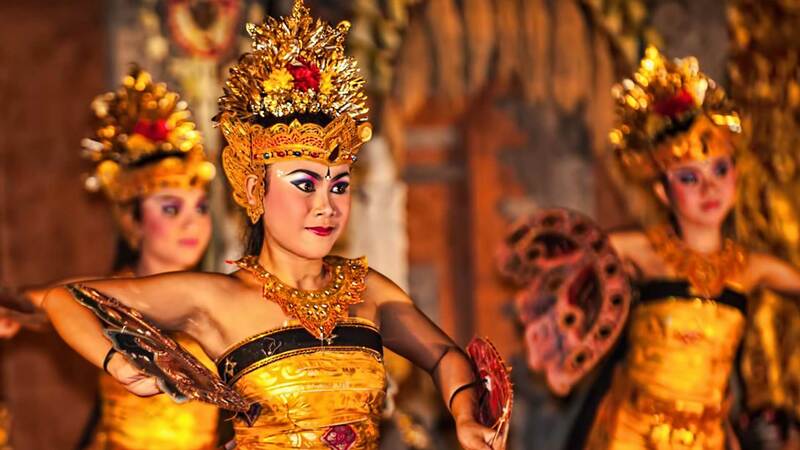 You can easily extend your visa in Ubud with a visa agent if you wish to do so, which will allow you to stay in Indonesia for a maximum of 60 days as a tourist. I’m a beginner, will I be able to participate in all of the classes offered? We love beginners!  All of our classes are specifically tailored to meet each person at their own personal level with an emphasis on awareness of the present moment, safety, a sequentially balanced class, and an opportunity for each person to witness where they are at mentally, emotionally, physically, and spiritually at each moment. We encourage our students to honor and respect their own bodies and intuition in order to determine what is best for them as each moment unfolds, engaging in the way that feels right for them . Our sessions focus on love, compassion, fun, letting go and being as you are, as we align and open our body and energy fields to allow for the fullest growth and expansion into who we truly are. We definitely encourage intermediate practitioners to join us as we explore the depths of Yoga, however advanced students may find that the asana component of the retreat not challenging enough. As such, we recommend that advanced asana students join us for our meditation retreats and learn the higher limbs of yoga. What is your smoking and alcohol policy? Smoking is not permitted in the villas nor in the entire yoga retreat venue. Though we highly recommend that you abstain from smoking during your retreat, so you may derive as many of the benefits of yoga as possible, there is a designated area outside of the venue where smoking is permitted. Due to the adverse effects of mixing the purification practices of yoga and meditation with alcohol, our retreat is completely alcohol-free. We highly recommend that you abstain from all alcohol consumption during your retreat so that you may derive as many benefits as possible and do not allow alcohol in the retreat center. "This retreat was everything I expected and more, even though I tried not to come with expectations. I was accompanied by my close friend and we stayed here for 1 week. Everything was fantastic from the setting of the villa, to the wonderful staff, the price of the retreat package, to the yoga instructors to the other guests. My only complaint was that I wished it was longer." 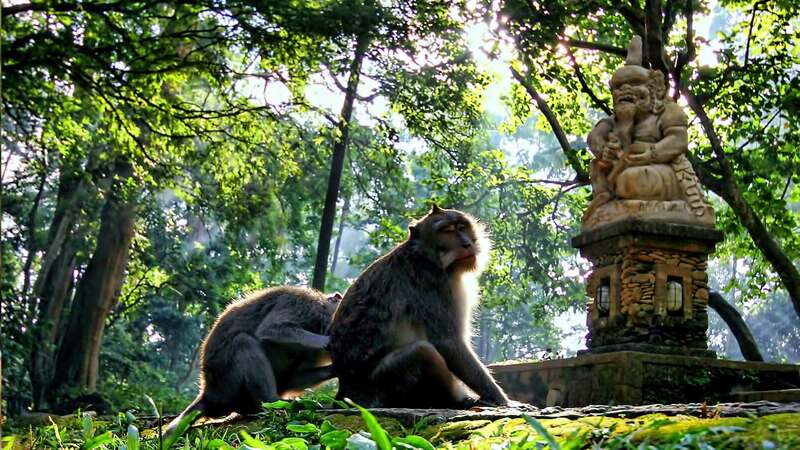 "This was my first yoga retreat and it was even beyond my expectation...The place is really awesome, 20 min south of Ubud, this is a peaceful place with the view of a temple on the other side of the river and the forest all around. 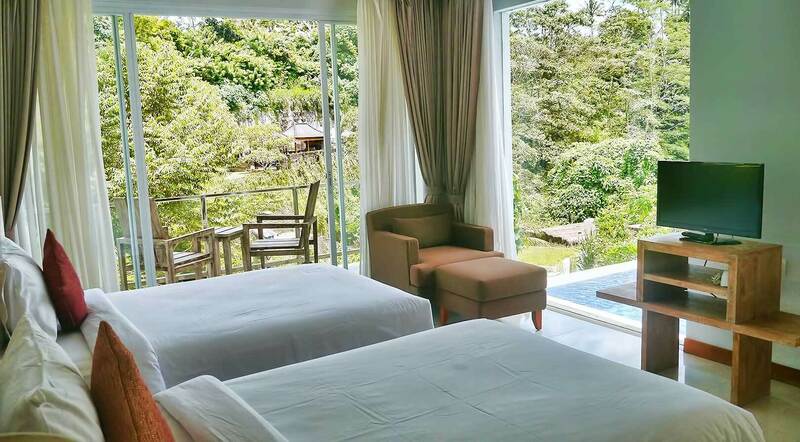 I was in a private villa, with a huge bedroom and bathroom & a private swimming pool. The people at the reception and serving us were really nice and kind. My only regret was to not have done 10 days! I would really recommend very high-quality!" "As a longtime yogini and a certified yoga teacher, I can genuinely say that this is a fantastic retreat experience - one that topped all my expectations. 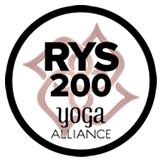 Blooming Lotus does a wonderful job bridging eastern and western styles of yoga, and balancing emphasis on mindfulness, meditation, and asana practice"
"Stayed for 7 days to retreat and spend quality time with myself, and it was bliss. I stayed in a private villa, which is impressive in size and quality. The mattress is like heaven, made even better by the late night rainfall we had while there. It was like sleeping in a soft cloud. You must also try the massages offered in the resort. Wonderful to have one before going to bed." "Then my wife planned a vacation for me that included the 4 day retreat. I wasn't sure what to expect because yoga in the USA is so trendy and superficial. The teachers explained the deeper meaning and purpose of yoga. Their passion, kindness, patience, and mentoring spoke to me and awoke something in me. By the 4th day I had taken my own mat and blocks to my villa for my own morning and evening practices. I plan on returning with my wife and with each of my children as soon as I can." "I did not expect such an incredibly beautiful place to practice yoga. The accommodation pictures don't do the splendour of it justice. It's so lovely, set next to a roaring river and across from the local temple. The sounds of the forest, local people and the splashing of the fish in the pond provide blissful ambient sounds as you practice yoga twice daily. The teachers were so lovely and provided a comfortable, inviting space in which to delve into the retreat." "Super professional, they pack so much in while ensuring everyone gets enough quiet/solo time. And the teachers are just so incredibly giving of themselves and their time. This is truly where I experienced pure, genuine generosity for the first time. I simply can't say enough. If you're considering Blooming Lotus Yoga; it would simply be a gift to honour yourself in this way. These guys and the retreat space are pure Magic!" "I had an excellent experience in the retreat. It was about discovering more than just yoga, it was a moment to reflect on your life." "The Blooming Lotus Retreat was perfect. The only thing I regret is having had just one week to stay there. From the first minute you are invited to discover yourself and to accept your limitations and love yourself for who you are. I was a complete beginner but I felt supported throughout. I'm ready to go back in a few months and can't stop recommending it to friends." "Life-changing Yoga experience. The perfect balance of strength & flexibility, challenge & rejuvenation, spiritual & physical. In addition, the setting is absolutely gorgeous. I felt uplifted on every level after class." "The teaching is some of the most heartfelt & incredible that I've yet come across in my yoga journey. The classes just so clearly came from the teachers' hearts - they shared such a vast and amazing amount of knowledge with us and so much love. It's been a few weeks but I am still thinking of my time at Blooming Lotus and what a gift it was for me!" "I am in awe by the experience I had for the past 5 days……it is such a sacred place….not only did I find out more about what yoga is, I learned about meditations, chakras, Ayurveda and more." "I had such a lovely time….it was so fun! 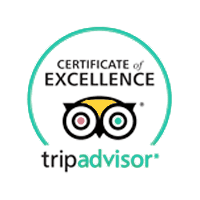 I recommend this if you are looking for a lovely place and want to do something nice for yourself." "This was an amazing life-changing experience. Blooming Lotus yoga was everything I dreamed it would be. This retreat changed the way I think about my body and myself." "Perfect honeymoon retreat. My wife and I were looking for something different for our honeymoon, and the Blooming Lotus 5 day retreat turned out to be the perfect solution. Our teacher, was amazing. She welcomed us with so much warmth and kindness, she took time to help us fine-tune our practice, and she helped create an amazing week we will truly never forget. "A fantastic place for body and soul-yoga -always with a smile- you get fantastic fresh food and a beautiful place for swimming." Yoga Style & Instruction Is Spot On! Fantastic Yoga and Meditation Retreat! "I was looking for relaxation, mindfulness and a place to discover myself again after a year of incredibly intense work. I found all of that at Blooming Lotus Yoga. I was there for 2 weeks, and they were life-changing. I walked away with a solid knowledge base of yoga as a spiritual practice and a strong foundation to continue..."